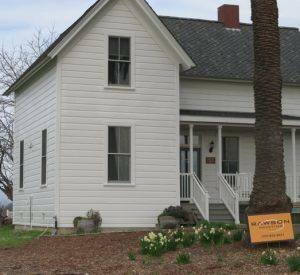 The Laguna de Santa Rosa Foundation Offices are located in an old redwood farmhouse. 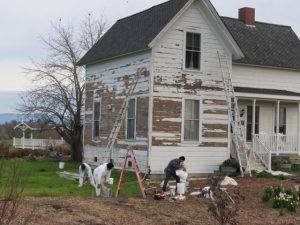 They needed someone to repair and repaint the south and west-facing sides of the main house, since those sides had weathered severely. 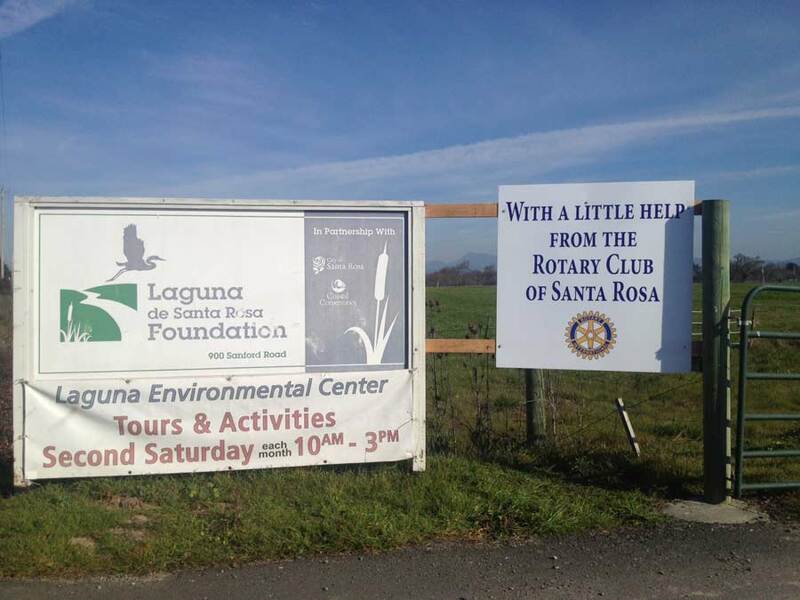 The project was managed by Rotary Club of Santa Rosa’s member Chip Rawson who owns Rawson Painting. 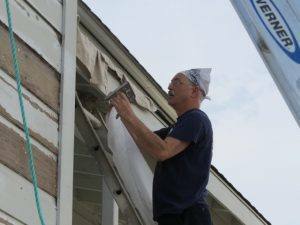 We soaked the damaged wood surfaces with a penetrating epoxy to make it possible to paint the siding and expect it to stay painted. Today’s primers are not expected to perform as well as they once did, so we agreed to apply the penetrating epoxy before attempting to paint the sides. 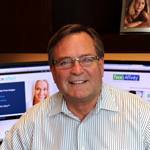 David Bannister agreed to cover the cost of the epoxy. After that, we primed and finished the exposed sides. The result is shown in the photos.